UNESCO International Programme for the Development of Communication (IPDC) supported Association of Community Media of the Kyrgyz Republic project Innovations in Community Broadcasting. In this regard, two seminars for representatives of nine community media organizations were organized on 19-20 September 2015 in Bishkek and 17-18 October 2015 in Osh city, Kyrgyz Republic. 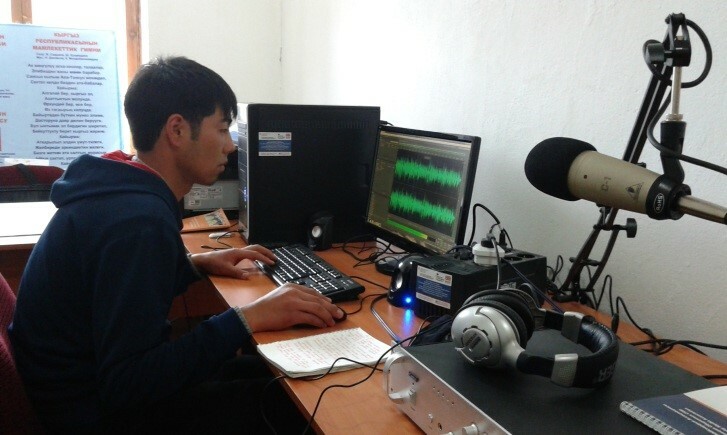 Four community radio and twenty three community multimedia centers are functioning in Kyrgyzstan. UNESCO Almaty regularly hold training seminars for the sustainable support of the rural communities in access to information. Ms Nazira Zhusupova, President of the Community Media Association. During of two planned workshops representatives of community media learned how to use mobile information and communication technologies: downloading, setting the applications on their smartphones, for news publishing in multimedia forms, including photo editing, audio programming and creation of short video programs. After the workshops, participants are able to create rural news, interact with the local authorities to influence their work and to inform the communities about the results and plans of local self governance groups. Four community radio and twenty three community multimedia centers are functioning in Kyrgyzstan. UNESCO and other international partners regularly hold training seminars for the sustainable support in accessing information by local communities. The project is supported by the UNESCO Office in Almaty till the end of November 2015. New materials and current community media can be read on the Community media website.